This week has been a fantastic return for our Little Forest Folk after the majority had been away during our holiday camp. Although a short break, it was great to see friends reunited and excited to get back in the forest to play together. Our children have shown a real development in their friendships over the last few months and this has been supported by the continuing addition of new Little Forest Folks joining our nursery. With these friendships the children have displayed a real sense of empathy and care for others when playing together in our beautiful forest. Empathy is a quality that Little Forest Folk teachers aim to teach and model to the children throughout our times in the forest. We do this through many ways, but one way the children respond to very well is the idea of “being kind to nature”. One of our five rules at the Fulham site is “to be kind”, and this includes our friends, teachers and nature. By doing this we aim to give the children an understanding of caring for their natural surroundings, and the importance of looking after the animals and beautiful plants around us. The children have been able to take this on and display a great sense of empathy, and then this is mirrored with their friends and teachers. We are very proud of how caring our children are at Fulham and through this great friendships have formed. We see our children picking each other up when they fall, offering support when they are sad or crying and even finding their friend’s hat when the sun is too hot. As our friendships develop, as does the group play that the children take part in. 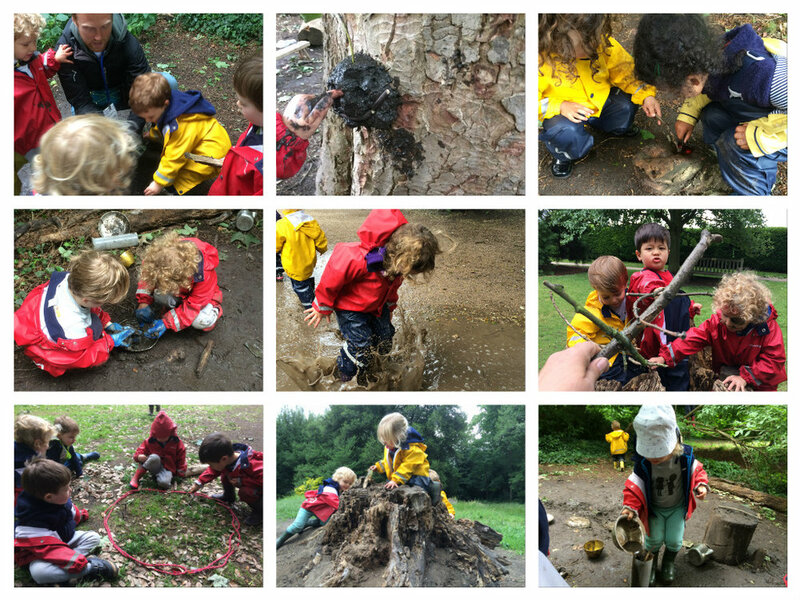 We have seen our children engage with brilliant imaginative play. An example of this was on Thursday when the children were acting out the story of The Three Little Pigs and the Big Bad Wolf. The children had divided into two groups, the pigs and the wolves. Mud mountain had become the fortress of the pigs and our wolves had to find a way to get in. Just to note, this was a completely child initiated and led activity. As our pigs developed advance protective barriers and multi lock windows and doors, the wolves had to use all their trickery and hatch cunning plans to try fool the pigs. The wolves were superbly imaginative, pretending to dress up as pigs/red riding hood and even grannies. The play lasted a whole afternoon and throughout it the children were encouraging each other to join in, talking about how to protect their house or fool the pigs and even directing how their teachers needed to act or perform to take part in the story. Our week in the forest has been one full of laughter and fun with all of our friends and we look forward to these friendships growing even stronger in the future with empathy at the centre of everything we do. We would like to ask parents/carers to ensure that your children are not bringing toys into the forest. We are more than happy for children to bring their comfort toys in their bags if required, but no other toys. Thank you for your support.